For many industries, the single most significant part of their operations is the grinding of materials into finer forms. After all, the process creates their principal product and feeds a host of client industries with the material they need to complete their own manufacturing processes. With this in mind, the ball mill is an essential item of machinery, and its proper maintenance is an equally essential concern. 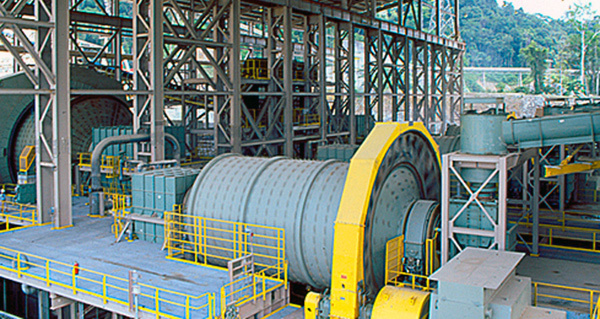 You’ll already know that a ball mill gets its name from the manner in which it breaks down hard materials, like ores. The mill’s cylindrical chamber contains a grinding medium (it might be flint pebbles, or ceramic, rubber, chrome or stainless steel balls) which grind material down into a fine powder as the chamber is rotated at speed. The load a mill must rotate is heavy, placing considerable strain on every component in the machine, especially in large scale heavy industry, where the mill’s cylinder can be huge. But whatever the scale of the operation, the need for effective cleaning and lubrication is paramount if the ball mill is to maximize both its efficiency and its lifespan. It’s no secret that efficiency – both in terms of time and cost – is an important concern. Achieving it has always been the tricky bit, especially when maintenance on such vital machinery is so necessary. The most efficient way is to minimize the amount of down time necessary to carry out the range of maintenance work. But with cleaning and lubricating products that fully service the component parts of the mill (especially its pinion and crown gears) without requiring a shutdown, that high level of efficiency can be achieved. In a previous article, we highlighted the advantages of developing a dedicated Mill Maintenance Plan, and we’ve already mentioned choosing the right cleaning product makes all the difference. And while it should be noted that machinery sometimes needs to be stopped, especially when inspecting for cracks and surface damage, this periodical investment in downtime results in a significant increase in reliability, productivity and efficiency. Through a combination of experience and research, Velocity Chemicals has developed a range of effective cleaners specially suited to the demands of heavy machinery while in operation – thus ensuring that the amount of downtime required to properly maintain your ball mill is kept to a minimum. GEARZ-EP has quickly become one of the most trusted chemical solutions amongst major operators across North America because of its reputation for effective cleaning of mill gears. A natural lubricant, it has been fortified with extreme pressure additives for lubricating, degreasing and cleaning mill gears while operating under load. When rinsing the mill, we recommend diluting either HEAVYWEIGHT, a CFIA-approved heavy duty caustic cleaner, or WONDERSOL, a CFIA-approved medium duty multi-purpose alkaline cleaner, into the final warm water wash solution. Both are trusted highly effective solutions for removing grease, oil carbon and pitch from machinery and exterior surfaces, and both are ideally suited to hard water areas while having the minimum environmental impact. The nature of ball mill operations, with the near constant rotation of the mill cylinder despite its considerably heavy load, and the abrasive action that takes place inside, means that minor repair work is something that is regularly needed. Typically, such work involves cleaning the ball mill, checking the liner wear (replacing it if necessary), noting the wear and tear on gear teeth and checking for any cracks that might be developing. All in all, the process should be relatively quick and uncomplicated – though thoroughness is always essential. After a couple of years, your ball mill will need to have parts replaced. While these may relate to exterior and ancillary components, such as feeding parts, common interior parts to be replaced are small gear wheels and bearings. Typically, larger aspects, like the large gear mechanisms and shafts should be carefully inspected after between 2 and 4 years. This is by far the most costly stage of maintenance on a ball mill. However, careful attention to maintenance earlier on can ensure that a complete overhaul becomes a necessity that rears its head later rather than sooner. When it eventually does become necessary, maintenance work can be extremely costly, involving the replacement of crucial mill parts and components, including mill pinion or crown gears and drive shafts. Velocity Chemicals is a Canadian manufacturer and distributor of specialty chemicals for Mill Maintenance personnel within North America’s mining industry. We understand the important role lubricants, degreasers and cleaners play in mining operations, whether they be strip mines or underground mines. Our products, such as GEARZ-EP, HEAVYWEIGHT, and WONDERSOL, can have an immediate impact on your operation by increasing machine life and decreasing maintenance costs. We have been providing mill gear chemical cleaning solutions to some of Canada’s leading mining and oilsand companies for more than a decade. Contact us today to find out more about our products.